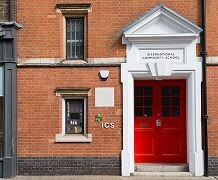 The ICS summer school grows from our academic, year-round school which means many of our staff work for ICS during the academic year, whilst many others return to work with us each summer. Our staff is a mixture of EFL, primary and secondary specialists who work across our three schools throughout the summer. Every year we welcome students aged three-17 from all over the world; last summer we had 45 different nationalities across our three schools and a total of 30 languages. Yet despite this, students only use English in the classroom. Learners are encouraged to learn through personal discovery and exploration whilst working on a weekly project. Teamwork, risk-taking, problem solving and critical thinking skills are at the heart of learning. We make learning fun because we believe that fun motivates learners and helps them to become inquisitive, independent thinkers. All our lessons aim to develop learners’ confidence in communicating in English through age appropriate themes and activities, a learner-centred approach and collaborative play. We aim to provide learners with authentic opportunities to practice their English, for example: socialising with their friends at break time; carrying out a questionnaire around the school; solving a real problem as a team; or using their English outside of the classroom.